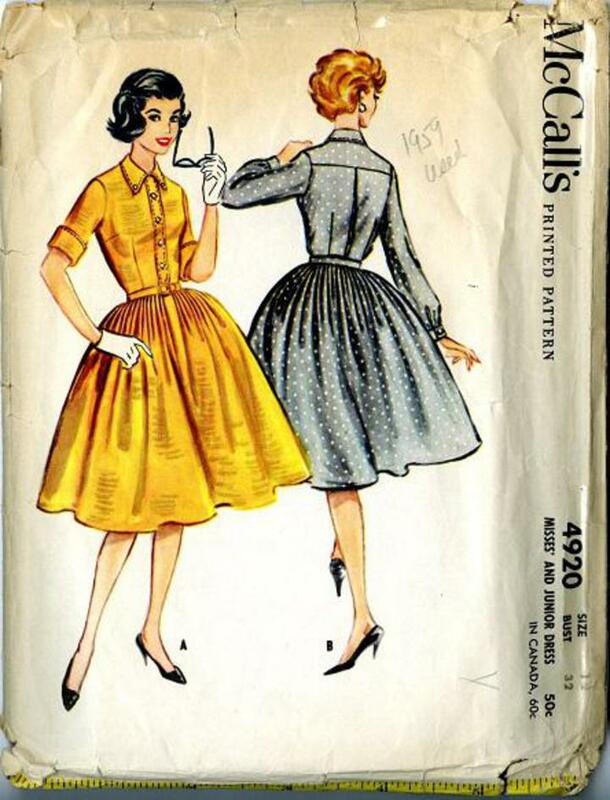 1959 McCall's #4920 vintage sewing pattern, misses' shirtwaist dress with button-down collar and full, four-gore skirt with unpressed pleats. Buttoned band on front waist with opening in skirt extending below band. Inverted pleat in back waist below uoke. 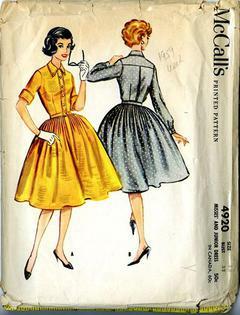 Roll-up or long set-in sleeves.